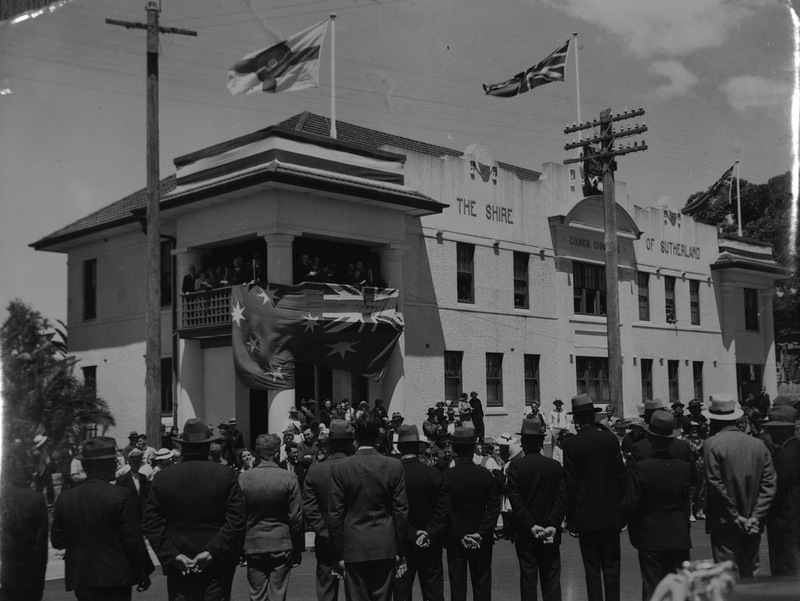 The Sutherland Shire is often said to have taken its name from Forby Sutherland, a seaman who died on board the HMS Endeavour when it was anchored off Kurnell and thereby became, on 1 May 1770, the first British subject to be buried in Australian soil. In recognition of Forby Sutherland and the Shire’s historical significance as the place from which the first landing from the HMS Endeavour was made on 29 April 1770, Sutherland Shire Council, desirous of an official flag in 1929, stipulated that the essential points of the Arms of Captain James Cook be incorporated into the new design when they approached the Royal Australian Historical Society on the matter. The RAHS referred them to Mr C.R. Wylie, designer of the Canberra coat of arms. 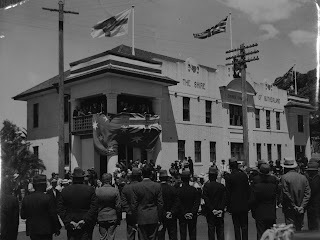 The Sutherland Shire Flag (seen flying here in 1938) bears the red cross of St. George upon a white background, symbolising the naval ensign under which Captain Cook sailed. 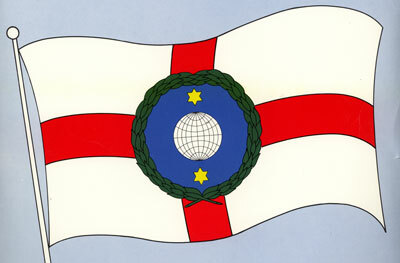 At the centre of a blue field (the ocean) surrounded by a green wreath of laurel lies a globe amid two ‘estoiles’ representing the north and south polar stars (Cook’s Arms).